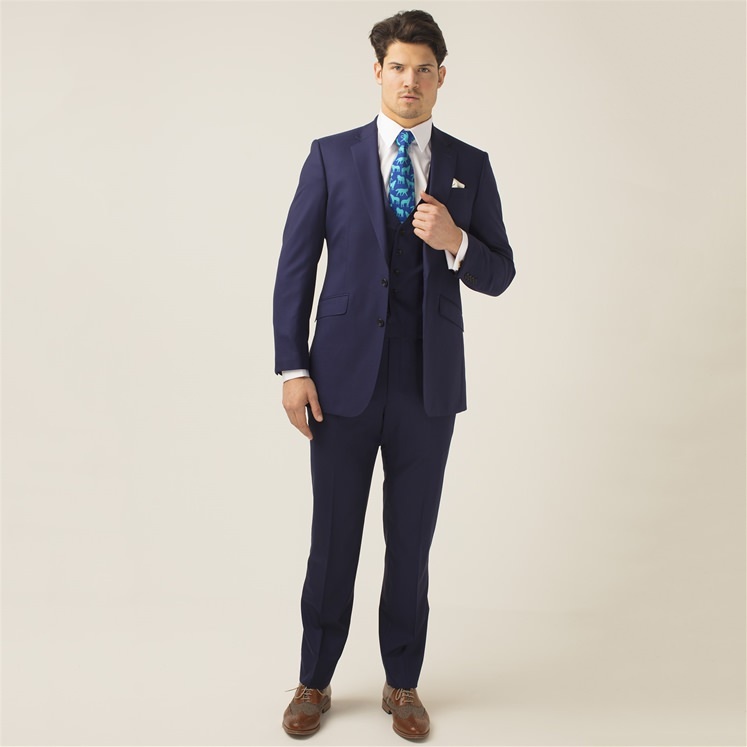 Mens wool 2 piece navy suit. 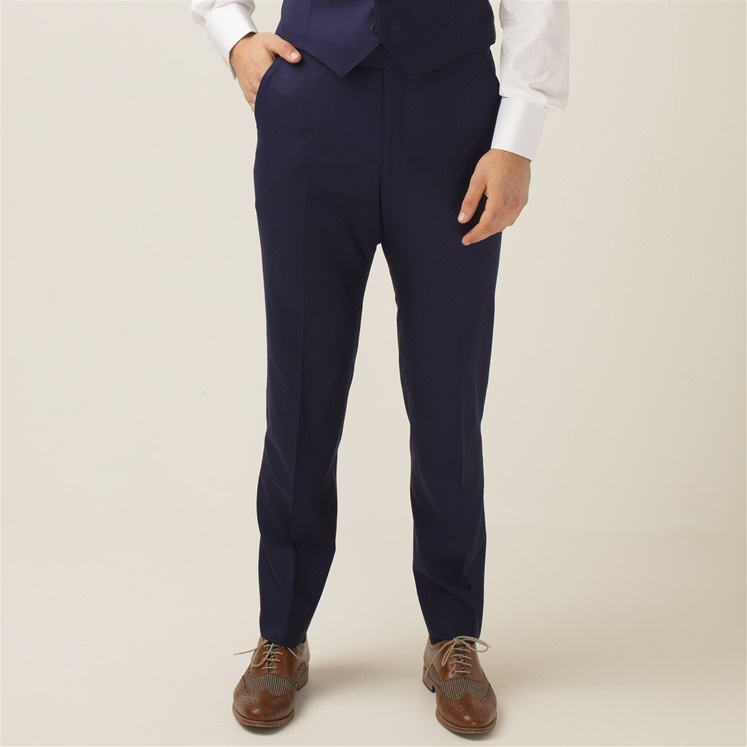 A timeless, elegant classic design, ideal for any wedding or special occasion. 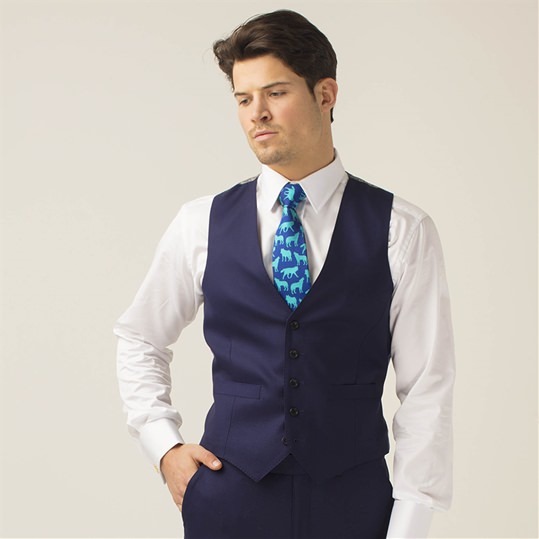 Team with the matching waistcoat for a more formal look. 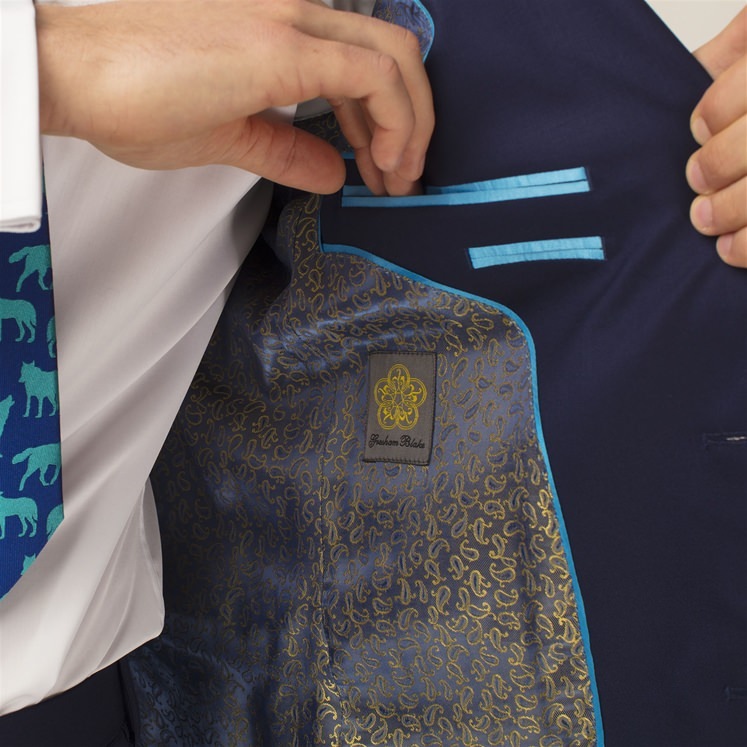 Lined in a blue and gold paisley with contrasting turquoise blue piping. 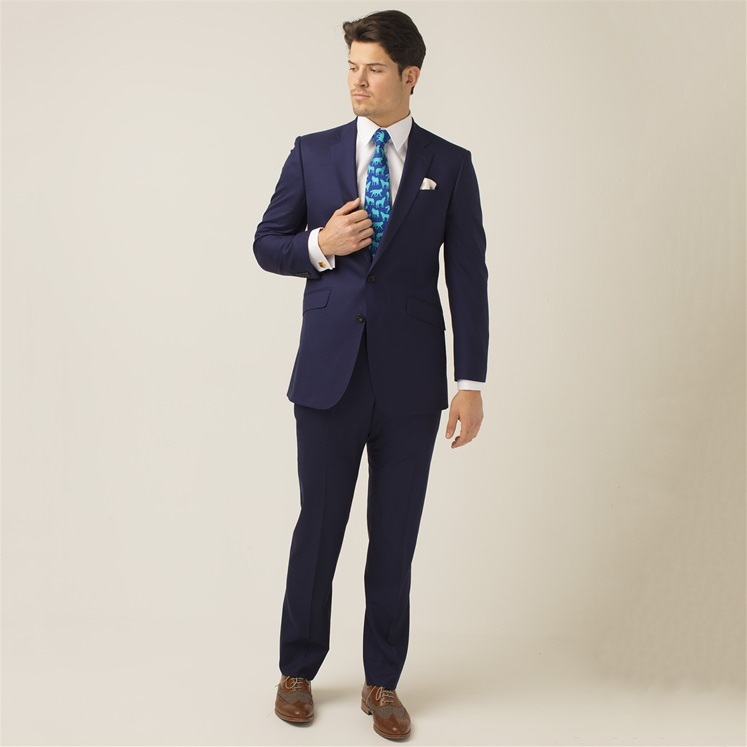 Outer - 50% wool / 50% polyester Lining - 55% Polyester / 45% viscose.